A yoga holiday that’s all about you. · Arrive Monday 22nd October & depart Saturday 27th October. Then I realised, of course, that if this retreat was about me, it’s TOTALLY about you too. The gorgeous venue is easy to get to, but feels a million miles away. Our schedule offers lots of time to do things, but even more time to do nothing. You’ll form friendships, create connections, soothe your spirit, move your muscles, and find yourself. Imagine this. You wake to the gentle sound of birdsong rolling in on the breeze. Sliding out of your comfortable bed, you pull on your yoga clothes and walk across the beautiful courtyard; feeling the warmth of the stones soaking up into your bare feet, pausing to take in the view of the Cabo de Gata – one of Europe’s most remote and beautiful natural parks; an extraordinary landscape of volcanic rock foundations, flora and fauna. For 75 minutes you breathe, move, flow and get connected to your body and your breath. As the sun begins to warm the world, your own inner light begins to glow, before sinking into a deep savasana. After a delicious breakfast of local goodies, fresh produce and tasty treats your only concern is what to do with the rest of your day. Take a dip in one of the pools? 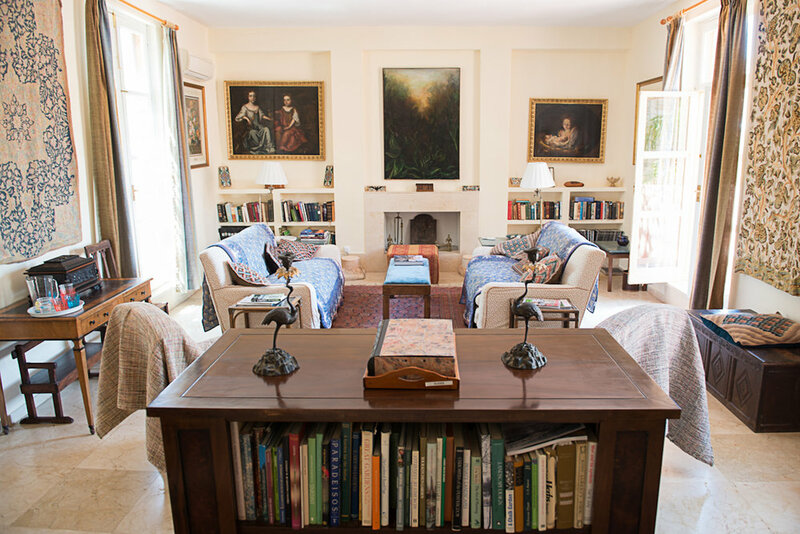 Read your book in the Mediterranean nook or perhaps in the luxurious living room? 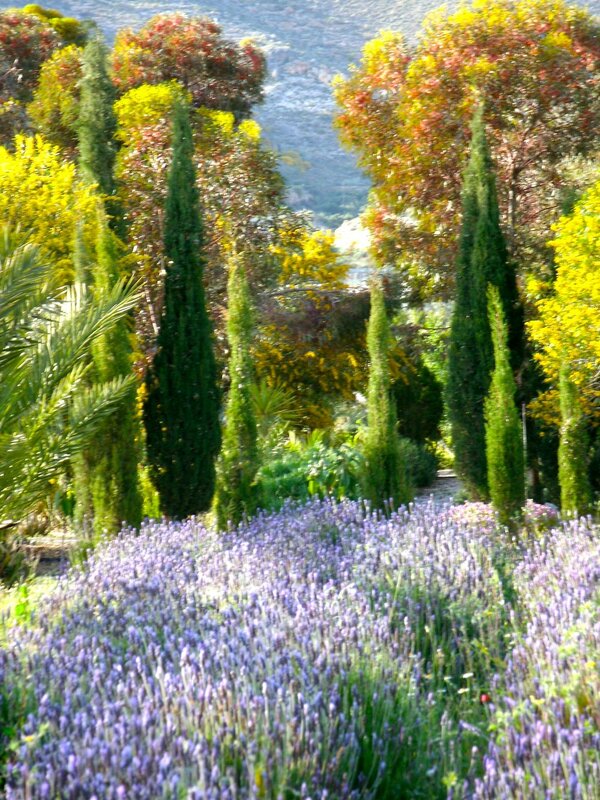 Should you take a leisurely stroll through the hills before or after lunch? 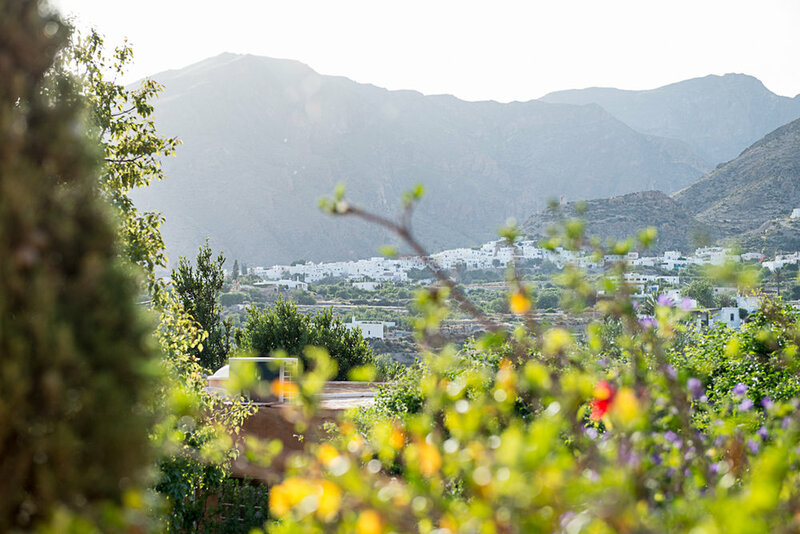 Will you spend the afternoon snoozing or people-watching in Nijar, the traditional village just down the road? 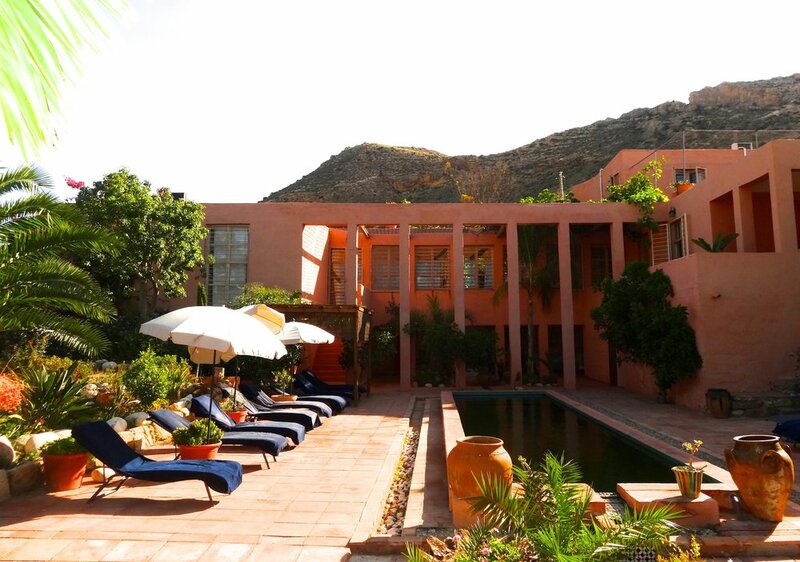 Before the day begins to wind down, you return to the al-fresco shala for a 90 minute session delving deeper into how your experiences on the yoga mat can inform your life off it. Perhaps this afternoon’s session will develop inner and outer strength, or maybe an exploration of how we can be open-hearted in our asana practice and courageous in our life? You round the day off with a delicious dinner, accompanied by wonderful wine (well, it has been a hectic day! ), chatting with your fellow retreaters, laughing over shared experiences, and swapping stories. As you walk past the lilly-pond, back to your waiting bed, you draw your scarf over your shoulders to protect from the cooling breeze, gaze up at the sky full of stars, and wonder how on earth you’ll cope with doing it all again tomorrow. C’mon – how nice does that sound?! Real Life Yoga is all about helping real people like you bring a little (or a lot) of yoga into their real life, and this holiday will be no different. I am all about making the amazing practices and awesome tools yoga offers, accessible to every body (even us mortals with tight hamstrings!). If you’ve done a bit of yoga in the past you’ll get the most out of our sessions; if you know your way around a sun salutation or two that’s great, but if you’re not quite there I’ll offer plenty of modifications to help get you up to speed. Rest assured no crazy levels of bendiness are required. Our morning practices will be simple-but-strong vinyasa flow to get body, breath and mind working together. We’ll be focussing on foundations so you’ll get really familiar with the practice, making it easier to start every day feeling fabulous. The late-afternoon sessions will each have more of a workshop-feel. There will be a different focus for each one, with a juicy combination of mind-managing, body-bending, spirit-lifting, and breath-balancing. And there will definitely be the most important bit of every yoga class: a lusciously long savasana. 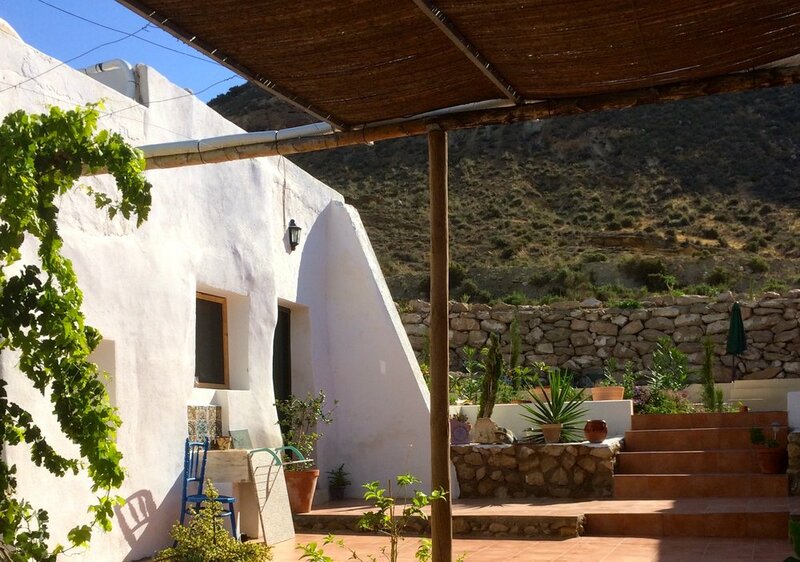 Our home for the week consists of the ‘finca’, the main house which won awards in the 80’s for its striking design, and a group of charming, converted traditional buildings called the ‘cortijos’. All the rooms are ensuite. Meals are delicious vegetarian buffets created with fresh local produce. They will be tasty, healthy and varied, so you’ll be sure to have your tasted buds delighted just as much as all your other senses. We’ll feed you three gorgeous meals every day (breakfast, lunch and dinner). 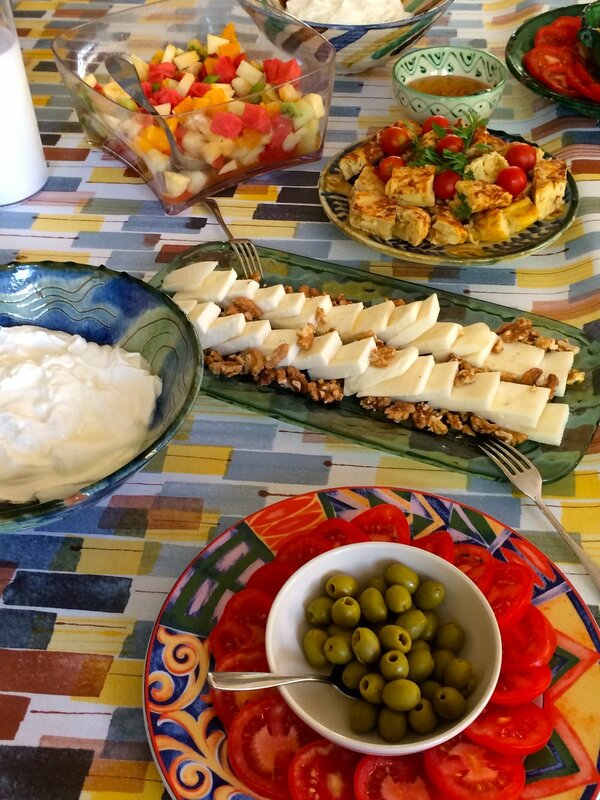 Should you need anything between meals (you won't!) there will be plenty of mouth-watering fresh fruit available all day. Should you fancy a tipple in the evening, beer and wine will also be available. 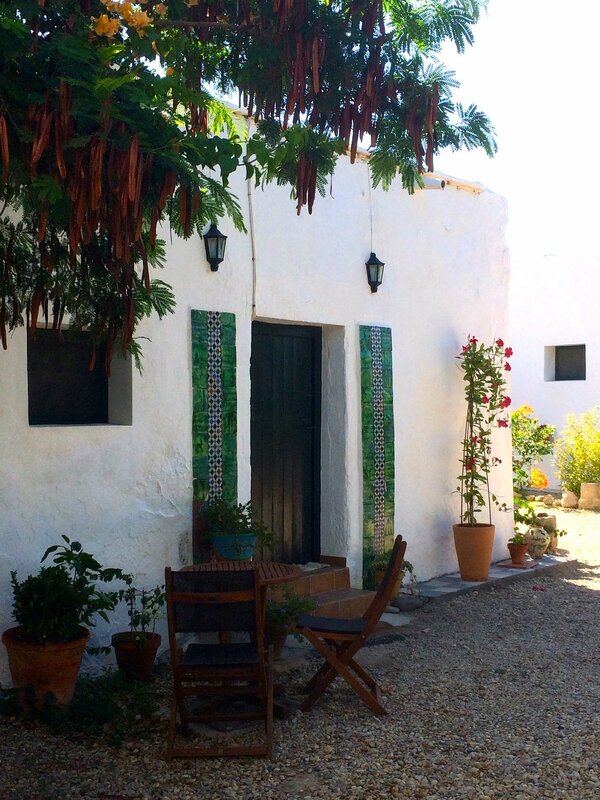 Two eco-pools; outdoor yoga shala; lush garden; bohemian family home and converted cortijo apartments. Set on the edge of a natural park with half-moon bays, hidden coves, bizarre volcanic rock formations, and spectacular flora and fauna. Save a heap of money if booked and paid for before Monday 3rd September. Three delicious vegetarian meals every day. Fruit, water, teas and coffees. The luxury of time to do what you want! ALL of this for just £775. You’ll have time to move and time to be still. You’ll have time to be serious and time to be silly. You’ll have time to be with friends and time to be alone. You’ll have time to do nothing and time to be nothing…..other than yourself. You know you can only be at your best when you take time out to nurture yourself, so isn’t it time to start? October can't come soon enough. Book me in! *Apart from one day which is a day of total freedom. Whoop! On this day you’ll have yoga in the morning, then the rest of the day entirely to do with as you wish. 8 hour savasana, anyone? **Almeria airport is served by Easyjet, Thomas Cook, Iberia and Ryanair.